Where is the love for Canada? Some pretty good deals there. Never popped up in my inbox. Of those options the one I recommend is the Powercore II 6700. It is a very good combination of physical density and performance. It is physically small enough to be a viable pocket charger, but also 6700mAh is sufficiently big it can be 1-2 phone recharges for a weekend, and its 2A input and 2A output means it recharges quickly. As such is falls into a "just enough" for many situations. 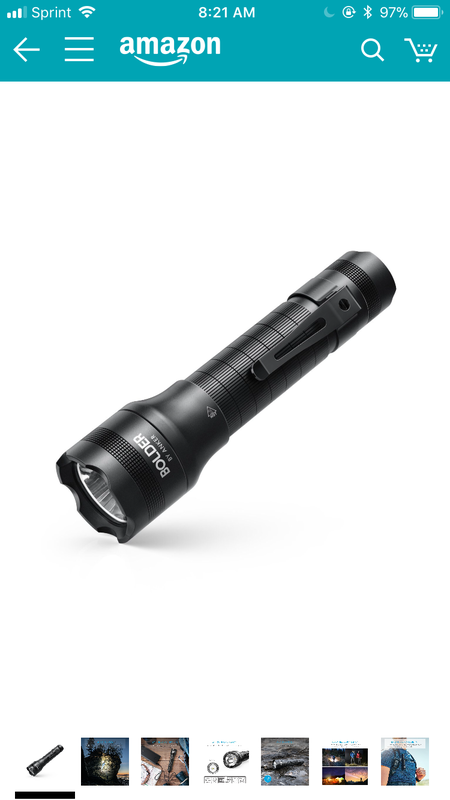 What's the Bolder P2 flashlight? It is a pencil thin longer torch. I was thinking about the PowerPort I 5-Port. I would like one charger for travel, my Samsung laptop supports USB-C charging, this would not be full speed at 30w but only need overnight trickle really. my Galaxy S8+ would not have Quick charge 3.0.
maybe they will release IQ 2.0 for desktop chargers soon? I hear that Galaxy S8 also supports PD.